Greenland can truly be said to be a different world. It is the largest non-continental island on earth with the population less than 60,000. Fantastic shapes of icebergs and glaciers floating on azure sea are the most famous images of Greenland. However, green mountains, breathtaking fjords, and cliffs, hot springs under crystal clear skies are still to be discovered by the adventures tourists. Greenland is also known for flourishing seals, whales, polar bears, and reindeer. To explore all these natural treasures, you can go by boat, airplane, sled, or snowmobile. Transport here is not usual as there are virtually no roads between towns. When you are on this fantastic island, there is no question what to do in Greenland as you are surrounded by the most spectacular wonders of the world. Among most popular things to do in Greenland is visiting Disko Bay, a UNESCO World Heritage Site since 2004, where massive icebergs break off from the glaciers and float out into the coastal waters. This awe-inspiring natural spectacle can be watched from the land. Be prepared for nature at its most majestic. There are thousands of hot springs everywhere around Greenland, but on the island of Uunartoq, you can enjoy bathing surrounded by icebergs and stunning mountain peaks as the springs there are naturally heated to the perfect temperature for bathing. Exploring wildlife is one of the most popular attractions in Greenland. The best way to feel the uniqueness of the country’s natural environment is to go on a sledding or snowmobile tour where you will meet reindeer, polar bears, and white-tailed eagles. Undoubtedly, an up-close encounter with whales is on everyone’s wish list. June - July are the best months for cruising among icebergs and whale watching at the same time enjoying the breathtaking coastline landscapes. Typically you will encounter with humpback and fin whales, but if you are lucky, you will see blue whales, killer whales, narwhals, beluga whales, sperm whales, and pilot whales. Among other Greenland places to visit Tasiilaq should be high up on your agenda. It is the largest town in East Greenland and is one of the most isolated settlements on earth. It lies on the island of Ammassalik, about 100 kilometers south of the Arctic Circle and is known for the breathtaking scenery of a fjord, mountains and a small river. The Flower Valley close to the town is a popular place for hiking. In winter skiing trips and dog-sled tours are popular. In summer, you can enjoy hiking, climbing, helicopter riding over the glaciers, sea kayaking between icebergs on the fjord or go for whale watching, and fishing. During your visit to Greenland you shouldn't miss the incredible natural spectacle of The Northern Lights as they are visible across Greenland. There are very good chances to see the Northern Lights between November and March, although December through February are the best months because of the clear nights. Nuuk, the capital of Greenland, with the atmospheric buildings of the old colonial harbor has to be visited as well. The Greenland National Museum an interesting place to visit. It houses a collection of hunting equipment, carvings, kayaks, and Viking finds and is hosting regular exhibitions of geology and the arts. 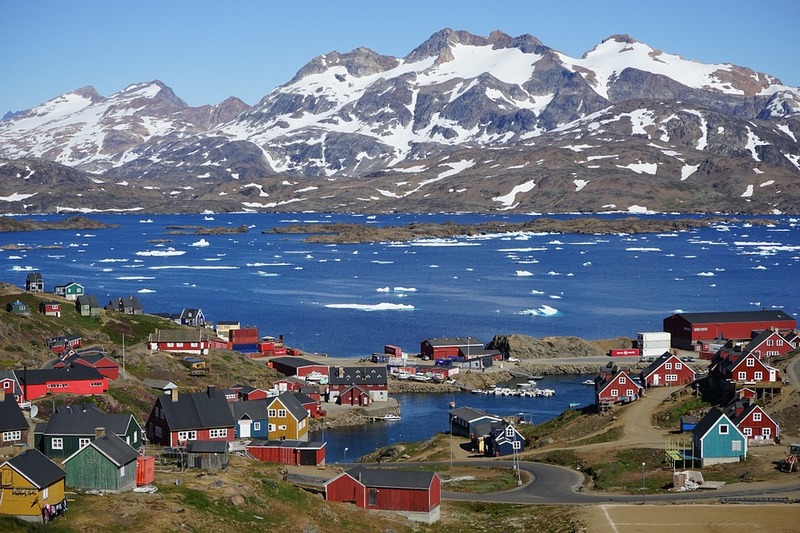 From Nuuk, you can go on tours of the one of Greenland's most beautiful Godthåb Fjord. One of the most popular Greenland tourists attractions are the remnants of Eric, the Red's thousand-year-old Norse colonies. It is estimated that something around 5,000 Norsemen lived throughout Greenland and why the settlements died out remains a mystery. A visit to these sites is a fascinating journey back in time into the lives of ancient hunter-gatherers. Viking ruins in the region of the Hvalsey Fjord and Brattahlid near the town of Qassiarsuk are highly recommended. "Knud Rasmussen Land" is one more recommended attraction. 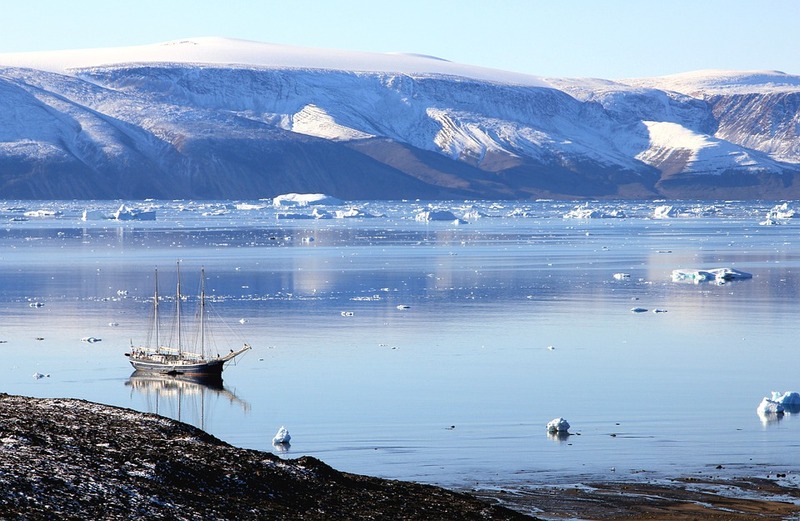 In 1910, Danish explorer Knud Rasmussen set up a trading post in northwest Greenland and named it Thule. Rasmussen carried expeditions from Thule into the Arctic where he investigated various Eskimo tribes and researched their myths and legends. Now the Hvalsund Fjord in Thule is a well-known cruise ship destination. The best time to visit Greenland depends on your sense of adventure, special skills or interests. Winter in Greenland lasts from December to March. In winter the days are short and very cold. But surprisingly, winter is the best time to travel to Greenland for dog-sledding and chasing the beautiful Northern Lights, which make the nights a lot brighter than you would expect. 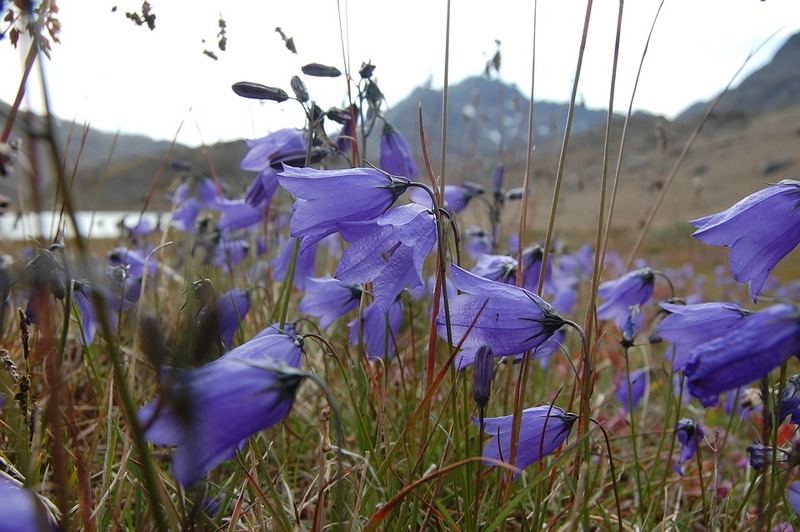 Spring in Greenland, a transition from winter into warmer period is from mid-April to mid-June. It is a magical time when the snow is melting away, the days are getting longer, and the vegetation starts growing again. Summer is the best time to visit Greenland if you want to enjoy hiking on long summer days. Summer in Greenland is from June through to September and is very beautiful. The days are long and bright, and it is also the time when you can witness the midnight sun typical for an Arctic summer. You will see children playing out in the street in the middle of the ‘night,’ and you will enjoy the amazing, never-ending rays of the sun. People will be buzzing with life until the early hours. The change from summer back to winter is very quick making autumn a rather short season. It is the best time to go to Greenland for those who want less crowded places and cheaper hotels without any compromising on the beauty of the place. It is also possible to catch the amazing Northern Lights at this time. Places to stay in Greenland, are a bit different than in other countries. Greenland is not the place to go if you’re looking for upscale resorts or lavish hotels. Most hotels here are quite basic, you can find a few standouts as well, even though elsewhere they probably wouldn’t qualify as particularly luxurious. A four-star property in Ilulissat, Hotel Arctic offers rooms which have modern Scandinavian furnishings, and many look out over the spectacular ice fjord. Another four-star option, the Hans Egede Hotel, is a business-class hotel right in the center of Nuuk. Three-star hotels like Seamen’s Home chain are more common here. You can find three properties in Nuuk, Sisimiut, and Aasiaat. They offer clean, no-frills rooms in convenient locations. 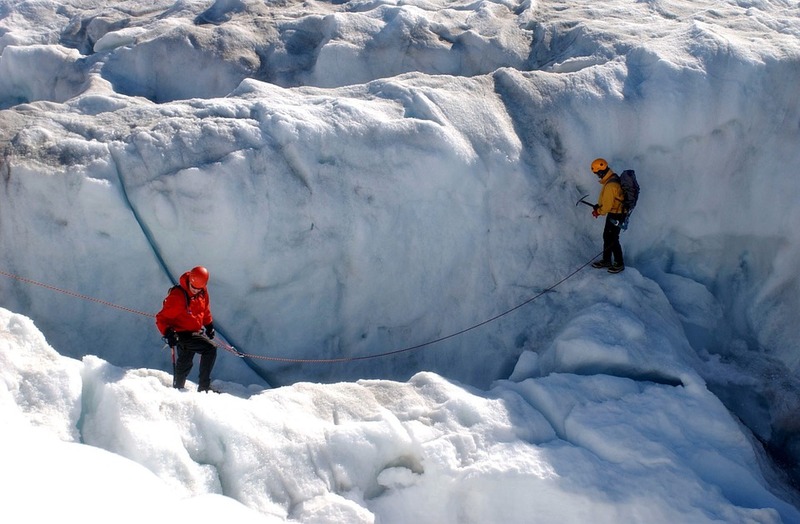 If you are looking for unique adventures, accommodation can be a part of your special Greenland experience. We recommend the top 10 places to stay in Greenland offering unique environment s and experiences. Stay in a bungalow in Ilimanaq Lodge, by the water’s edge with five-star views of floating icebergs. Close to Tiilerilaaq, in Natural Habitat Adventures’ you can stay in a luxurious safari-style camp. Hotel Arctic in Ilulissat offers to stay in an igloo where you will sleep near the water’s edge overlooking the impressive iceberg-filled Disko Bay. Choose to sleep in wild nature in your own tent on The Arctic Circle Trail or in a hut along the way where you can find refuge, especially when there is brisk weather. The huts are available for free. Sleep at the Glacier Lodge Eqi, situated near the glacier Eqip Sermia and 100 meters above sea level. Consider staying at Camp Ice Cap where you will wake up to the view of the Greenland Ice Sheet, with nobody else around you. You can try the slow-paced life in Igaliku Country Hotel, in a charming village of Igaliku in South Greenland exploring and hiking in these idyllic surroundings. Inuk Hostels is only a 10-minute bus ride away from Nuuk but a very unique place to stay. Bed & Breakfast is a good option as well allowing getting acquainted with locals. Spend a night on the coastal ferry of Greenland Sarfaq Ittuk. You can choose the open sleeping berth, called a couchette, or for more comfort and privacy select the private cabin option. If you decide to visit Greenland, the world’s largest island, the country will definitely surprise you with its unique Inuit culture, majestic landscapes and icebergs the size of skyscrapers as well as other Arctic wonders. Expect experience like no other on this planet.